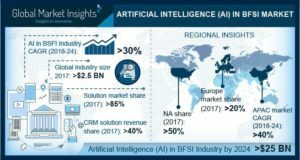 Artificial Intelligence in BFSI Market in service segment is anticipated to grow prominently during the forecast timeline with an approximate CAGR of 38%. The market is driven by the demand for professional and managed services to reduce the operational expenditure. Moreover, companies are now trying to focus more on core competencies to improve their market penetration. Machine learning technology accounts for approximately 40% share in the artificial intelligence in BFSI market. The integration of the intelligent algorithms for risk mitigation and compliance, anti-money laundering, and fraud detection applications is the primary factor that augments the demand for the technology. Natural Language Processing (NLP) is also used widely in the BFSI sector in the customer contact center to analyze the customers? voice and solve their queries. Financial institutions are also utilizing NLP for back-office applications & operations and text-mining. The customer service is the dominating application of the artificial intelligence in BFSI market with over 45% share in the revenue in 2017. The integration of the conversational AI solution and chatbot among the financial institutes is propelling the growth. Furthermore, the use of advanced analytical tools by the banks, insurance, and wealth management companies to analyze the credit rating, risk profiling, and analyzing the customer behavior to provide personalized products and services also supports the technology in fintech growth. Banks cover more than 50% of the artificial intelligence in BFSI market. The banks are teaming up with the fintech companies to develop advanced products and improve the customer services. They are relying more on machine learning algorithms for the risk management and fraud detection. 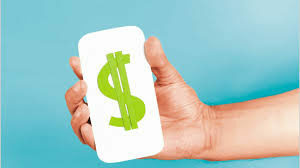 Furthermore, the adoption of the digital banking solutions and supportive government initiatives launched by the government to promote the digital banking also fosters the market growth. North America accounted for more than 50% of the share in artificial intelligence in BFSI market in 2017. The high investments in the AI and fintech sector by the technology giants are the major factors pushing the market growth. 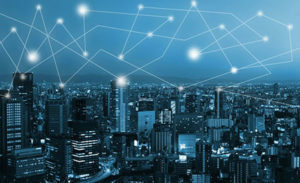 Furthermore, the early adoption of the technology and highly developed infrastructure are supporting the market growth. Asia Pacific is anticipated to grow substantially with more than 40% CAGR. The market growth is credited to the high investments by China and India in the AI technology. Artificial intelligence in BFSI Market is projected to exceed USD 25 billion by 2024. The market is driven by the growing requirement among the financial institutes to improve customer experience, gain customer loyalty along with the high intensity of competition among the market players. As the competition among the market players is rising and the customers are becoming more empowered, financial institutes are looking for cutting-edge technologies to provide a better experience and retain customers. Furthermore, an increase in the digital data and investments by the venture capitalists in AI and fintech market space are major forces driving the market growth. 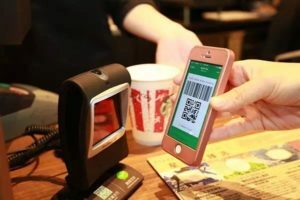 In addition, the rising partnership between financial institutes and fintech companies to integrate technology into the core financial services will also foster the growth. However, the financial institutes are hesitant to use AI-powered products due to the safety and security problems related with AI. Moreover, the black box effect and the low accuracy of the intelligent algorithms hinder the market revenue. The solution segment is leading the artificial intelligence in BFSI market with more than 85% stake in the revenue in 2017. Wealth management institutes, banks, and insurance companies are adopting AI solutions to analyze the customer behavior and fulfill their requirements and provide a personalized experience. The solution market includes chatbots, CRM, customer behavior analytics, data analytics and visualization, and fraud detection solutions. CRM is dominating the market with more than 40% share due to the high adoption among the financial institutes in the customer contact centers and business operations. The post BY 2024 CUSTOMER BEHAVIOR ANALYTICS SOLUTION SEGMENT OF AI IN BFSI MARKET TO GROW AT A CAGR OF OVER 35% appeared first on FintechNews.